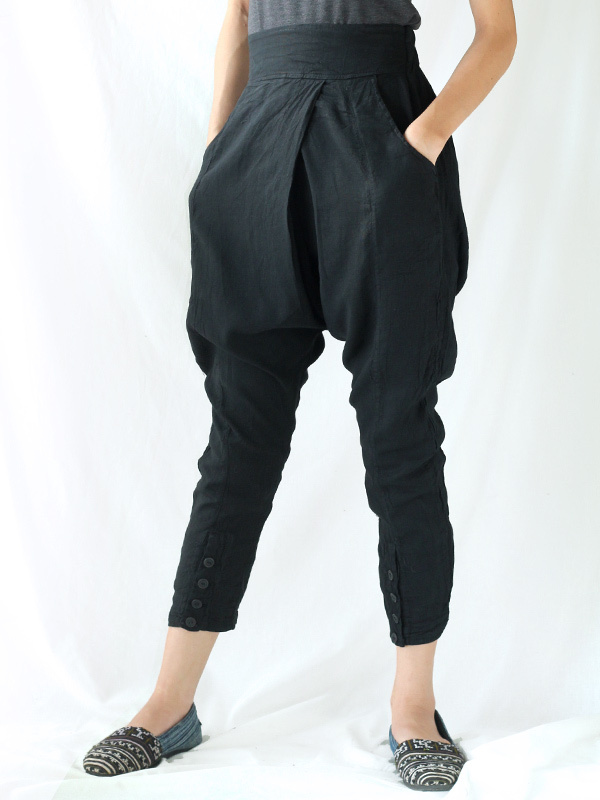 100% cotton trousers with drop crotch and fitted ankle cuff with coconut buttons. Just got these and they are wonderful. 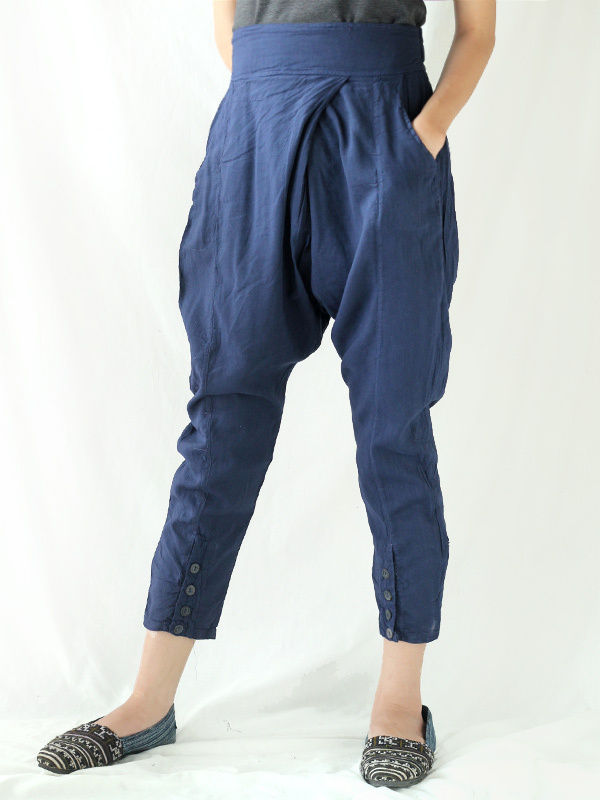 They are thin though, so hot weather wear item only. Also the blue is darker than expected. But fit nicely and think I will get a lot of wear out of them.